Maryland is a global leader in bioscience and technology education, and ranks among the top five regions nationally in biotechnology. 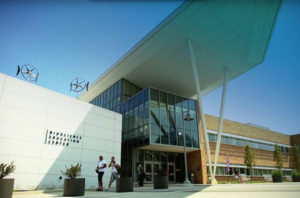 The projected LEED Gold-certified Center's biotechnology laboratories were designed to provide instruction meeting industry standards, including dedicated space for teaching cell culture, biomanufacturing (cell propagation using bioreactors and protein purification using FPLC units), and genetic diagnostics utilizing Next Generation DNA sequencers and digital droplet PCR. Throughout the facility, 700 electronic devices, including Smart Instructor Work Stations, computers, and monitors will support activities in the classrooms and labs. Take I-270 to Exit 15 East (Route 118). Continue to the second traffic light at Observation Drive; turn right onto campus. Students parking a vehicle while attending a Bio-Trac® program will receive a temporary (15 day) parking permit with their class confirmation materials. If you register via the web your printed confirmation or registration history will serve as a parking permit until you can print out the WD&CE Student Temporary Parking Permit. The parking permit is free to students but you must register your vehicle. Take Red Line to Shady Grove Station and transfer to Ride-On Route 55 to on-campus stop. 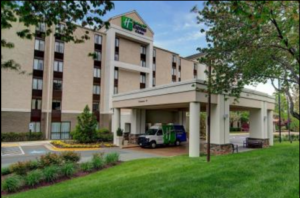 A special rate has been made available to all Bio-Trac attendees - $99 per night, King Size Bed, non-smoking, free Internet, free breakfast, free shuttle service to the BEC. Hotel is within walking distance of the training facility ( ~.3 mi). Attendees will receive the discount code for hotel reservations at time of workshop registration. Reservations can be made online or taken over the phone. Copyright © Bio-Trac®. All Rights Reserved.